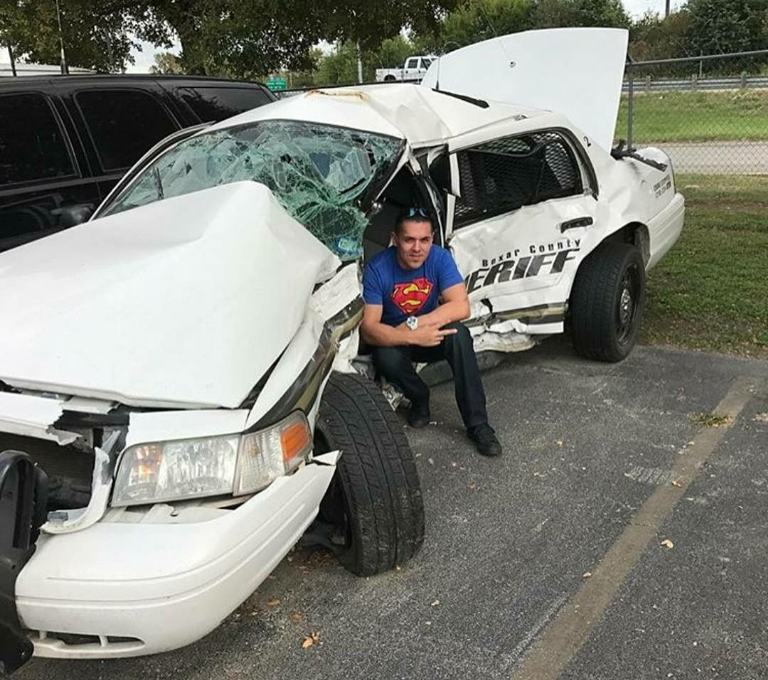 Sheriff who survived car crash takes selfie, claims super man. "When you're supposed to die but God knows you got traffic court in the morning. Lol. In all seriousness though, I'm glad you survived this one brother! You're a real tough SOB!ߑړߍ밟ѮߚӰߍ밟ѮߚӰߍ밟ѮߚӰߍ밟ѮߚӰߍ늣bluelivesmatter #holdtheline #backtheblue #thickblueline #swollpatrol #fitforduty #wefightwhatyoufear #weownthenight #relentlessdefender #lawenforcement #thinblueline #actofkindness #stopdefendingcriminals #aboveandbeyond #oathofhonor #officersafety #leadbyexample #sheepdog #stayvigilant #alwaysstrapped #aherorememberedneverdies".